Another microgrid – Commonwealth Edison’s Bronzeville project – got a financial boost this week in the rollout of grid modernization funding underway by the U.S. Department of Energy. The DOE allotted $4 million to the innovative ComEd microgrid, which was among six solar and energy storage projects to receive a total of $18 million. The announcement was an encore to the $220 million the DOE unveiled last week as part of its Grid Modernization Initiative (GMI), which included more than $10 million for microgrid research and development. The DOE aims to “dramatically increase dispatchable solar electricity on a pathway toward hundreds of gigawatts of solar on the grid,” said David Danielson, assistant secretary for energy efficiency and renewable energy, at a press briefing about the latest six projects to receive GMI money. More is to come, the DOE says, as it releases a wave of grid modernization funds in the coming weeks and months to improve electric resiliency, reliability and security. This will include a $23 million request for proposals that the DOE plans to issue for R&D on advanced cybersecurity technologies for the energy sector. The $18 million for solar and storage comes as energy storage prices drop, and advanced software opens up more sophisticated uses of batteries in both the retail and bulk power markets. Increasingly used in microgrids, the solar/storage pairing improves grid reliabilty since storage offers another source of energy when the sun isn’t shining. The pairing is still relatively rare, with storage found in “far far less than one percent” of solar projects nationally, said Rhone Resch, president and CEO of the Solar Energy Industries Association. “We stand in the early moments of the greatest era in American solar history. In combining solar with storage, we create the most transformational development since the creation of the grid,” he said. Resch described energy storage as “the missing piece of the puzzle.” Once locked in with solar, the pairing will provide critical power during local or national emergencies. Solar and storage also will ease congestion on the grid when located in areas of high demand, he said. ComEd will use the funds at a microgrid in Chicago’s Bronzeville neighborhood, a project that encompasses a cutting edge cluster of microgrids being developed at the Illinois Institute of Technology. The utility, which is engaged in microgrid development on several fronts, describes Bronzeville as the most sophisticated solar project in the Midwest and the world’s first microgrid cluster. Bronzeville serves as “a blueprint for other utility-owned microgrids around the country,” said Anne Pramaggiore, ComEd’s president and CEO. She pointed out that microgrids with distributed generation offer the public benefit of powering critical facilities like hospitals, schools and police and fire operations. The utility sees the Bronzeville microgrid as a foundation for a community of the future that fully leverages a smart grid to connect residents to each other and to the many valuable uses of smart grid technology — among them sensor-enabled lighting, parking and transportation applications. ComEd plans to install microgrid-integrated solar-storage technology (MISST) at Bronzeville. The new system allows for the widespread use of low-cost, flexible, and reliable solar with battery energy storage, according to the utility. ComEd is developing MISST technology with the Illinois Institute of Technology, University of Denver, Argonne National Laboratory, National Renewable Energy Laboratory, S&C Electric and G&W Electric. “This project is very important since no successful utility-scale practical implementation of coordinated solar/storage and microgrid systems on a real-life distribution system in the US (under interconnected and islanded conditions) has been reported,” said Shahidehpour, director of the Robert W. Galvin Center for Electricity Innovation and Bodine Chair Professor at Illinois Institute of Technology. The $4 million in grid modernization funding marks the second microgrid award ComEd received from the DOE. In 2014, the utility won money to develop a master microgrid controller that will control microgrid clusters. 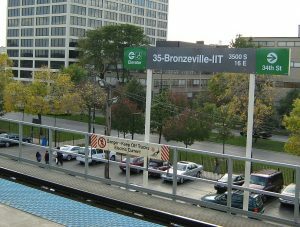 Bronzeville is one of six microgrid demonstration projects in northern Illinois that ComEd proposed in an energy bill pending before the state legislature. The $18 million is going toward solar plus storage projects that are either sponsored by utilities or have a strong utility partner. All of projects are grid-connected, but require minimal utility interconnection review. The projects use smart inverters and are scalable in design, according to the DOE. 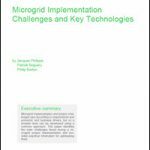 Track news about grid modernization funding by subscribing — at no cost — to the Microgrid Knowledge newsletter.